Southern Ontario trees remain in jeopardy form an invasive insect, the Emerald Ash Borer. 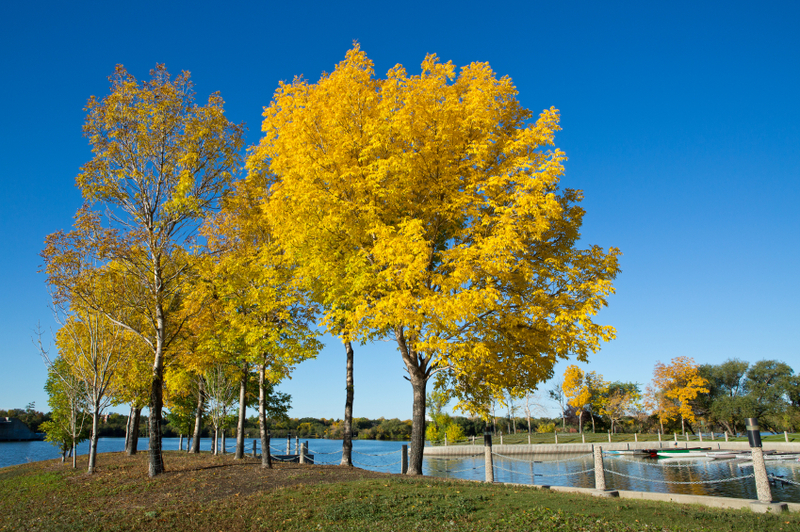 While Barrie streets are seeming a little more barren lately as the city takes proactive measures against this destructive little beetle, homeowners in the Richmond Hill area should consider how to protect their own precious foliage. The emerald ash borer is a highly destructive invasive beetle that arrived to North America from Asia, most likely in untreated ash wood used as packaging material. It was first confirmed in Canada in the summer of 2002. The beetle has infected and killed an untold number of trees across the continent since, and poses a major economic and environmental threat to urban and forested areas cross Canada and the United States. The beetle is metallic green in colour, about half an inch long and half an inch wide. While the back of the insect is iridescent, the underside is bright green. The body is narrow and elongated, and the head is flat. So far, the emerald ash borer has been found to attack and kill all North American species of ash. Infested trees generally die after two to three years, though heavily infested trees can die after only one year of beetle attack. As the emerald ash borer is a relatively new introduce species, little is known of what natural enemies it may have in Canada. Presently, the only solution is an application of a product called TreeAzin, an insecticide used by professionals, which is injected directly into the base of the tree. It has been registered by Health Canada’s Pest Management Regulatory Agency, and though it is a pesticide, it is considered “least hazardous”. Find more information on TreeAzin on the bioforest.ca website. Taking care of your trees may seem like a time consuming endeavour, but considering how a fully formed tree can add significant value to your home – not to mention the annual energy savings – keeping an eye on their health is a small price to pay to keep your backyard (and the Canadian wilderness) lush and green for generations to come. This entry was posted in Real Estate Tips, Uncategorized and tagged bugs, landscaping, pesticides, pests, tress. Bookmark the permalink.